Fab 'n' Funky Challenges: Challenge #122 - "A New Beginning"
Challenge #122 - "A New Beginning"
It's Rachel here and I'm your host for this week. Before we get to this weeks challenge we have some news! Our Fab'n'Funky leader Lou has sadly decided to stand down from the challenge blog due to having too many demands on her time. We're sad to see you go Lou and hope you'll come and visit us from time to time! That means its time for a change at Fab'n'Funky challenges and the blog is now "under new management " Lou has handed the blog over to Judith and its business as usual! Many congratulations from everyone on the DT and please email us your details and we will let you know how to claim your prize. Please do not forget to grab your Challenge Winners badge too. We would like you to either represent the theme with an image or occasion, such as a new baby or new job or use a new piece of your crafty stash. To qualify for the prize you must tell us what your "new" is. If you are anything like me, with new crafty stash arriving weekly, this should be a great opportunity to use some of your new and shiny goodies. 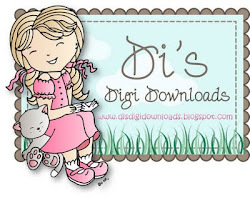 This week we have a fabulous new sponsor - Di's Digi Downloads. Di is offering a fabulous prize of $10 to spend in her store. Why don't you check out her website she has some fabulous digis on sale. Di Says - I have been drawing since a child and studied graphics at College many years ago, I now work as a Medical photographer part time but my love was always drawing. I started cardmaking about 4yrs ago when I bought my daughter a cardmaking kit which we did together, but I’m afraid I got the bug! My daughter preferred scrapbooking. I then started looking online at other blogs and this then became my passion and I loved sharing my cards with likeminded people. We look forward to seeing all your fabulous cards. I am sorry I am having trouble with the email address from the sidebar. I tried to send an email but it wouldnt go through. What a great challenge and the DT cards are fab as always. Thank you for the fun challenge. DT, y'all did a fabulous job! 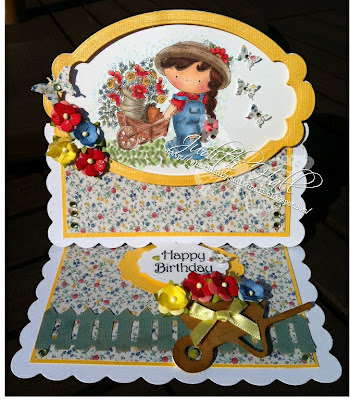 Fab DT cards, thanks for the inspiration. Thank you so much for choosing me in your top 3! Ooh fun! Thanks so much for choosing me as one of your top 3! Great projects from the design team. I am glad to be able to participate. Thank you. Great challenge and lovely cards from the DT! Thanks! Challenge #120 - "Buttons and Bows"
Challenge #119 - "Celebrating male-ness!"